Valentine Primroses, Minneapolis, Minnesota, February 2008, photo © 2008 by QuoinMonkey. All rights reserved. I wanted to wish all of our readers (and ybonesy) a Happy Valentine’s Day (I don’t know why, but I love to say Valentime’s Day!). Liz gave me the primroses as a surprise last night, along with shrimp sushi and a little Tiramisu for Two with proceeds going to the Children’s HeartLink – Healing Hearts Worldwide (visit them at childrensheartlink.org). I wasn’t expecting it at all. We celebrated last night because we’re going to downtown St. Paul today to an ARTS rally (LINK), then to Garrison Keillor’s Common Good Books (LINK) where I hope to get Natalie’s new book. After that, we’re meeting our friend for a poetry reading at the James J. Hill house. It’s a full day (my idea of romance!). And I’ve got to get going soon. BTW, did you know there is a Primrose, Nebraska (LINK), too? 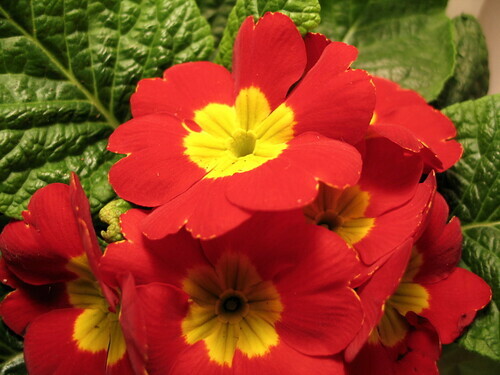 And the name primrose is derived from the French "primerole" which is derived from the Latin "primula." It’s been used as the name for several flowers including the cowslip, daisy, and wild rose, but the Primula classification includes over 425 species. Since the 1400s, "primrose" has also been used metaphorically to refer to the first or best of something. I think I’ll stick with my Valentine Primroses! Happy Heart Day to all! Oliverowl & Serenacat, thank you for the card. Beautiful! Happy Valentine’s Day to you in the chilly West! Happy Valentine’s Day, dear red Ravine friends. Ted Kooser has a new book out titled, “Valentines.” In 1986, Ted wrote a poem for Valentine’s Day and sent it to fifty women friends, starting a tradition that would persist for the next twenty-one years. Printind on postcards, the poems were mailed to a list of recipients that grew to more than 2,500 women all over the U.S. All the valentines are collected in this book. Let’s its tongue loll out of its ugly head. If you flip it over it’ll flip back quick. Just flip me once, like a hog-nosed snake. breathepeace, that’s a great Kooser poem. And thanks for the history behind Ted Kooser’s Valentines book. At the poetry and meditation I attended last weekend, my friend read poetry only by Ted Kooser. And she had his new book, Valentines, which she read from and passed around at the end. It’s lovely to hold in the hand. I just love Ted Kooser. He has seen a lot of life. And writes about it in such a grounded way. He also gives back to other writers. 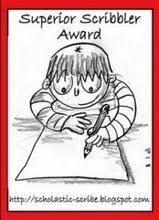 He’s a good role model for writing! Happy Valentine’s Day to you breathepeace. I so appreciate your visits to red Ravine. and hope your very busy day is a great one. Hope you had a happy heart day, QM and everyone. My day got a bit away from me, and so I didn’t post until day’s end. H, I know a woman who spends her entire V-day driving around the town from one home or place of work or restaurant to another, singing Valentine-grams. She and I talked as she was on her way to deliver one to the mayor’s wife. Thanks, everyone. I hope everyone spread a little love yesterday (and every day, onward & forever). Liz and I gave each other the gift of time. We took the day off together and went down to the Minnesota State Capitol. We weren’t planning on it, but ended up taking a tour of the building. It was designed by architect Cass Gilbert and modeled after Saint Peter’s Basilica in Rome. They finished building it in 1905 and are almost done with a long restoration project. Really fun. Later we met a friend for dinner and went with her to the James J. Hill house down the street for a night poetry reading. Then we got a tour of the house built by railroad magnate James J. Hill and completed in 1891. It was a fun day of history, photography, and friends. To us, history and poetry are very romantic! I can’t wait to see our photos. I think I’d be embarrassed, too. I know, I really don’t like people singing to me Happy Birthday or anything like that. oliver owl, you got roses…messengers of love. How lovely. ybonesy, the tour was great. I do love to do things like that. Nope, I sure wasn’t the one reading. But there were 3 superb actors/actresses, all dressed in Victorian garb, reading Victorian poets. Smashing success! I just reread this post and the comments and realized that our first Poetry Group was about a week before this and we read the poetry of Ted Kooser, including his then new book Valentines.